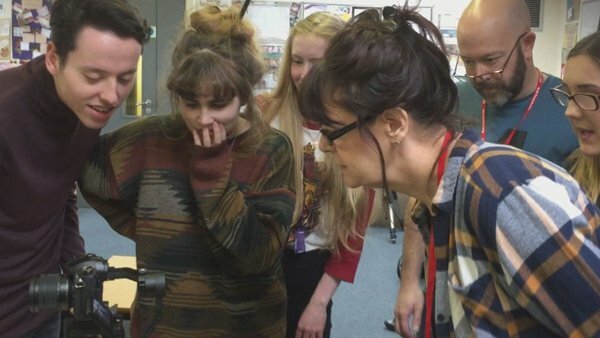 Members of Sutton Coldfield Movie Makers have been involved in a joint project with Sutton Coldfield College. 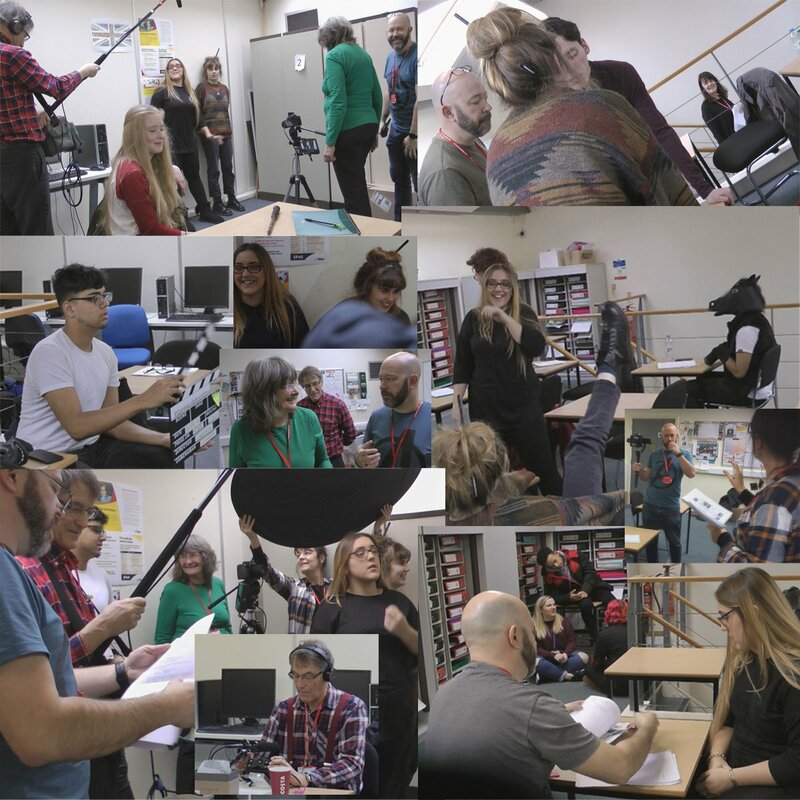 Filming of a short fantasy film based on a script by Julian Austwick took place in January and February 2019. 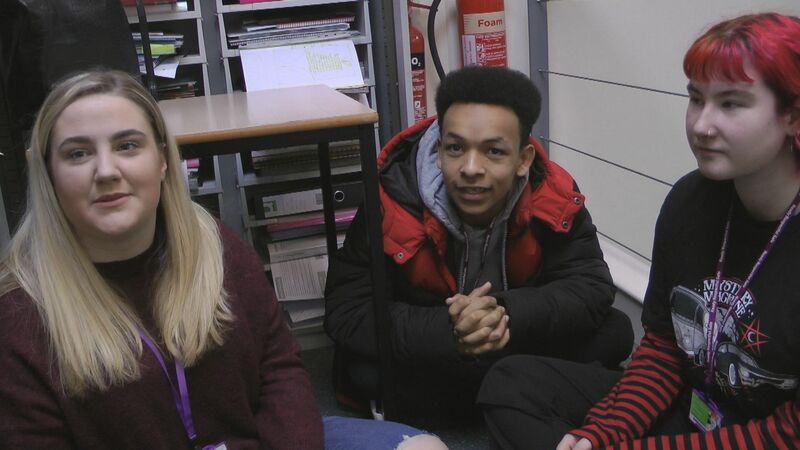 The project came about because one of the lecturers from Sutton Coldfield College approached the club and asked whether we'd be interested in collaborating as it would give her students valuable work experience. 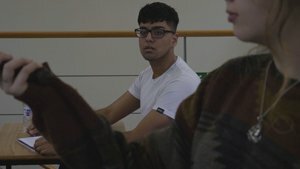 Before we started filming we tried out some of the shots: "Blocking"
The cast was entirely made up of students from the Acting course. Each one brought something special to the character they portrayed. 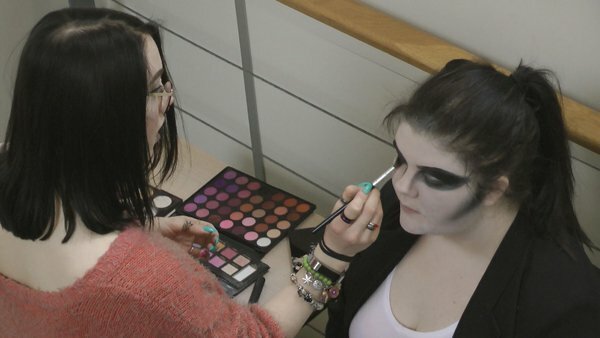 Students from the arts department created amazing effects with make-up, props and costumes. 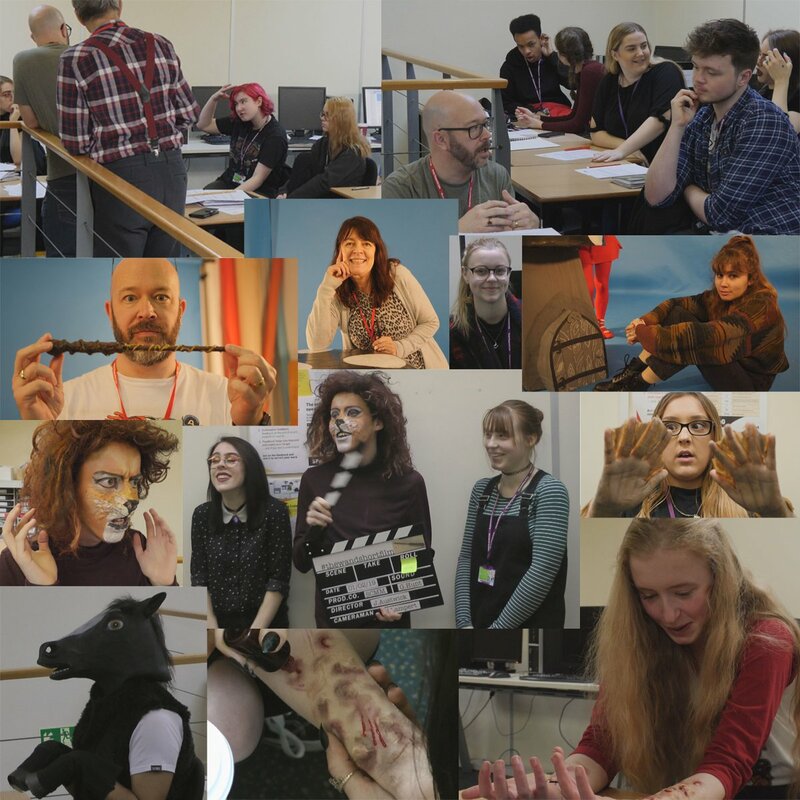 Emma Buet, Lecturer at Sutton Coldfield College said: "The theatre, film and TV art students have had a valuable insight into the world of actors and film makers which has made them even more determined to be part of in their future careers." 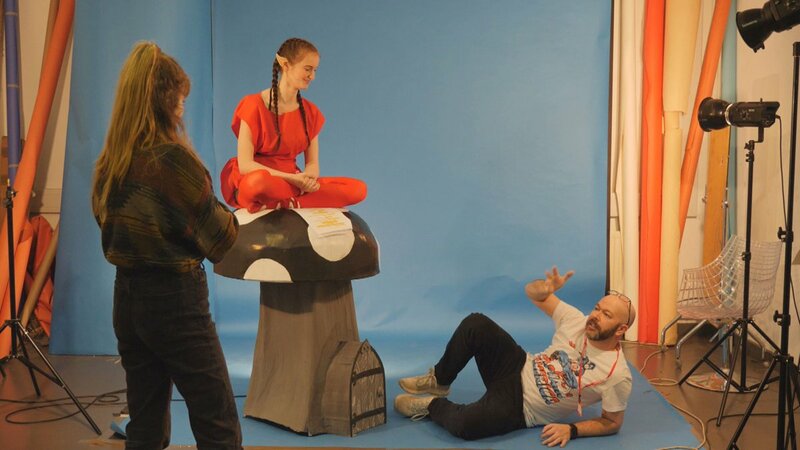 Maisie and Carys: "The whole process – of planning, choosing the best materials, deciding colours and problem solving – made the four weeks creating the oversized toad-stool a very much enjoyable challenge. 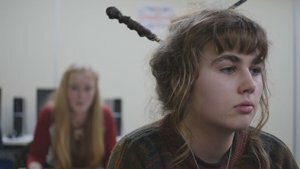 We loved it"
Rosemary: "I have enjoyed my experience working on the short film, The Wand. 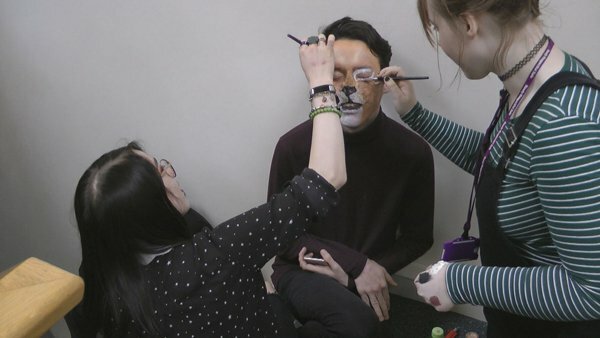 It has given me the opportunity to display my makeup skills and to be a part of creating the characters and giving them personality. 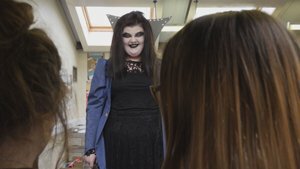 I have also enjoyed meeting the cast and getting to know them individually, I have been pleasantly surprised by the opportunities provided to display my fine art skills by creating the backdrops for the film. " 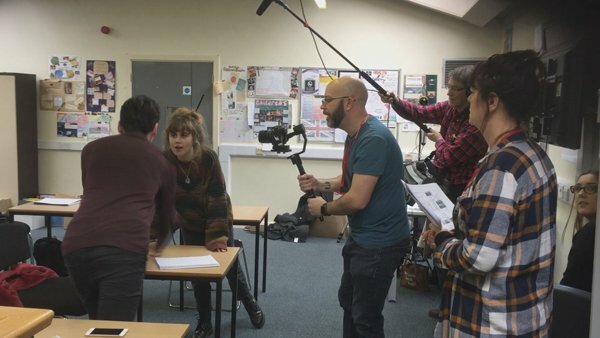 Sutton Coldfield Movie Makers were the crew: Julian Austwick, Debbie Daniels, Gordon Hunt and Jill Lampert. 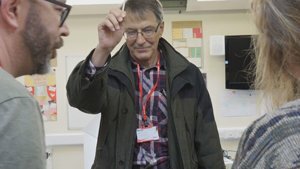 And what a great time we had! 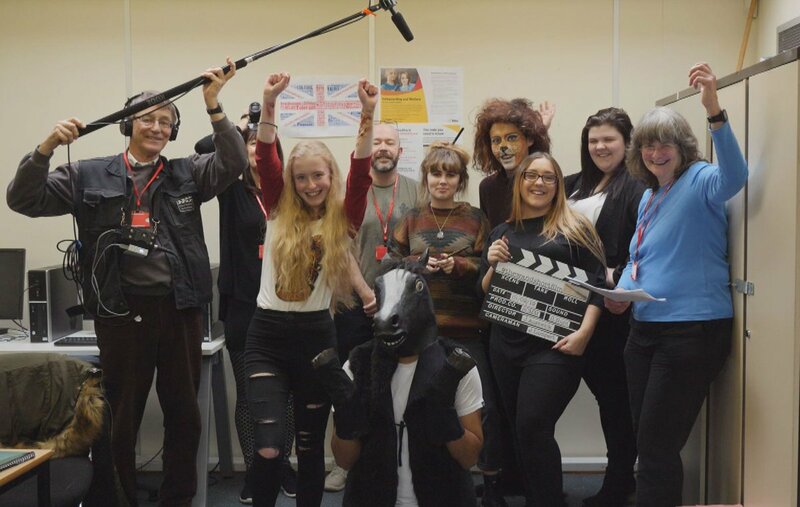 For Sutton Coldfield Movie Makers it was terrific fun working with these enthusiastic and talented students.